I have just completed the first draft of Making her Mark, my latest Camp Nanowrimo novel! As usual, I have joined up with Camp Nanowrimo, a July event run by the Nanowrimo (National Novel Writing Month) guys. That's my cover concept mock-up to the left. I have done both April and July camps the last couple of years, as well as the big event, Nanowrimo in November. The usual goal is to write a 50,000 word novel draft in a month. I usually go for around 100,000, since that's the length of most of my novels. Nano provides some great support and excitement around novel-writing, and I love a reason to set aside one month to make writing a higher priority and to get a new work drafted. 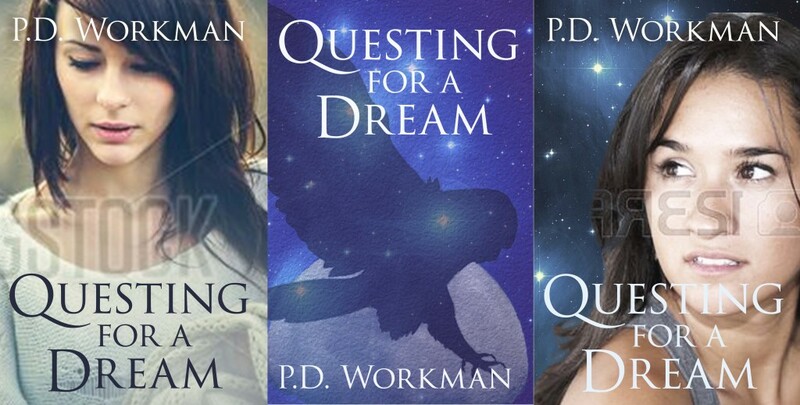 I need your thoughts on these covers! Okay, my friends, I need your thoughts on the three cover concepts for the novel I start next week. Young adult contemporary about a Cree girl. Well, it is that time of year again! Yes, I know, I just finished running my own personal little NaNo in February (along with a few friends who joined me), but the real Camp NaNo runs in April, and I am getting ramped up for my next book. I have set up a private cabin for Camp NaNo this year so that I can invite friends to my cabin. Who wants to join me? It's sort of like Christmas in July; NaNoWriMo is just too much fun to only do once a year. Or, er, only three times per year... When I made my initial five-year plan for publishing, I decided that I would continue to write three new books per year (writing the first draft for Camp Nano in April, Camp Nano in July and NaNoWriMo in November) as well as working on finishing, rewriting, editing, and revising my backlist for publishing. It was a good plan. But my creative brain starts to itch during the long space between November and April, and my logical brain points out that I have a new writing project planned for Q2, Q3, and Q4, but nothing in Q1, which is rather unbalanced. Tattooed Teardrops is scheduled to come out later this month! Get a sneak peek today by watching the pre-release trailer. The headline and the graphic say it all! I just finished draft one of my new novel, tentatively titled "Once Bitten, Not Shy". It came in at 94,733 words, but that could change a bit during the revision process. The ending had me choking up, but I don't want to say too much and give anything away. No spoilers here!